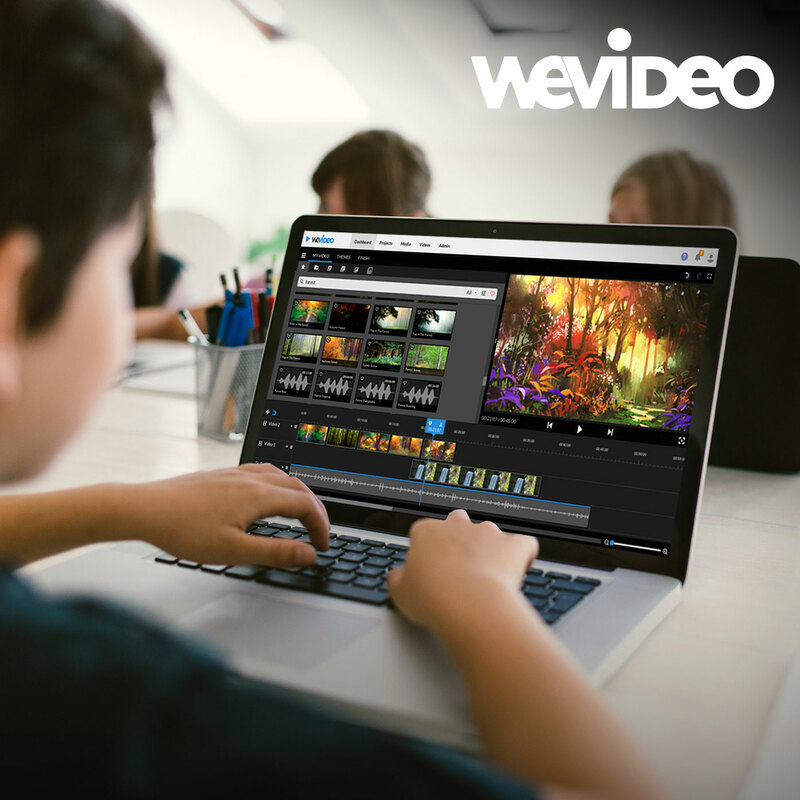 Menlo Park, CA, March 7, 2018 - WeVideo, the leading provider of video creation solutions for education, today announced that all WeVideo for Schools accounts have been upgraded, at no cost, with WeVideo Essentials™, a vast library of creative stock filled with over 450,000 images, 115,000 video clips, and 110,000 music clips, all professional quality, continually updated, and licensed for students and teachers to use for free. 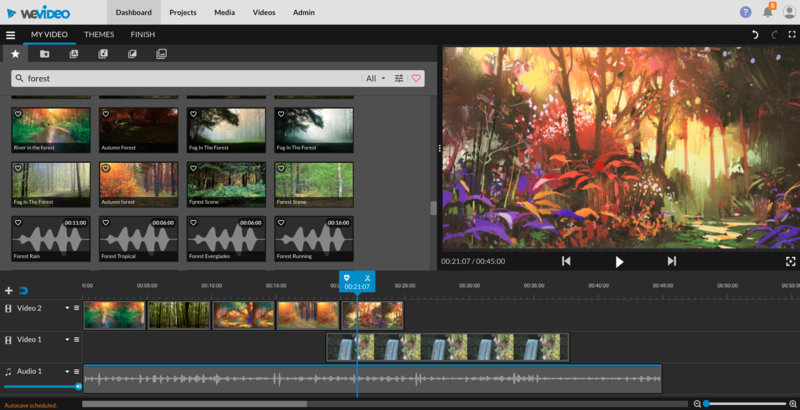 WeVideo Essentials is built directly into the WeVideo web app, the complete, feature-packed video editing and digital storytelling platform used by millions of students and thousands of schools. Dr. Nathan Lang-Raad, chief education officer for WeVideo, said, "Video creation is a powerful tool that builds deep learning and complex thinking. It is even more effective when the tool is designed to minimize distractions and enable students to invest their energy in meaningful, enriching, and high-yield projects, instead of using cognitive energy on searching for content. WeVideo Essentials' easy to access and use video, image and music stock assets eliminates the time-consuming distraction of students having to scour the Internet for the resources they need to express ideas and demonstrate what they know. Resources of this caliber are normally very expensive and well out of the reach of most classrooms. 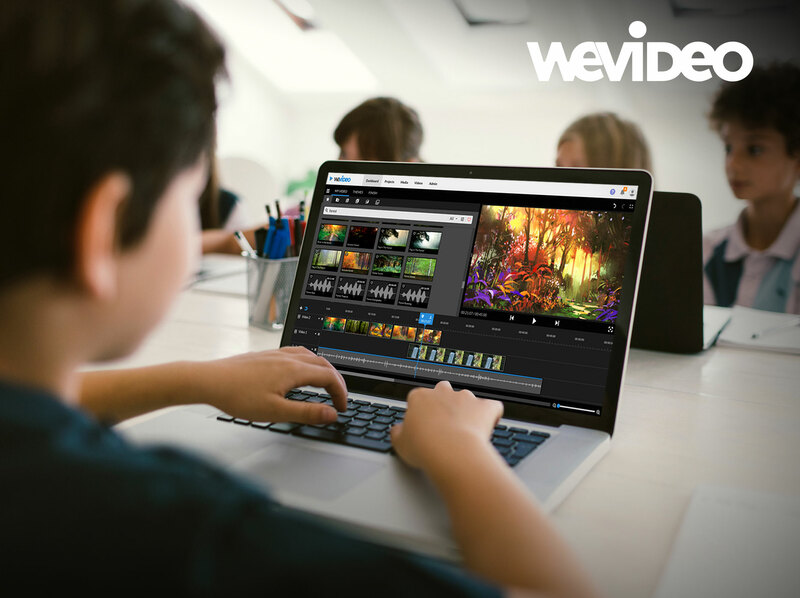 The polished nature of WeVideo Essentials content helps give student created videos a movie-quality feel, further boosting students' sense of pride and motivation to create more. From flipped learning to personal narrative, this library puts the media they need to be effective right at their fingertips." Millions of students use video to demonstrate learning. One of the most frequent barriers they encounter is simply searching for assets that they can use. They are limited to what is freely available scattered across the Internet, assuming their school's firewall even lets them search, or to what is provided by their teachers after a huge investment of the teacher's time and/or the school's money to buy expensive content libraries. WeVideo Essentials gives students and teachers instant access and unlimited use of the resources they need to create rich videos, films, and presentations that demonstrate ideas and learning in visual and personal ways. All of the content is fully licensed, supporting efforts that teach students to become good digital citizens who respect the value of content ownership. Jennifer Leban, technology teacher at Sandburg Middle School, Elmhurst, Illinois said, "With the addition of the WeVideo Essentials media library, WeVideo increases access to content, empowering students to create more quickly and easily. This new feature can provide instant inspiration, serving as a launching point for storytelling and sharing information." Bruce Reicher, technology broadcasting teacher at Upper Saddle River Schools, New Jersey said, "Adding licensed videos, images, and music that are free is a game changer for my students. It's going to be very helpful having all those assets right in the WeVideo environment when my students need additional footage to support the interviews and stories that they create for our daily morning news show." The WeVideo Essentials library is available immediately to all WeVideo for Schools license holders at no additional cost. Users will see a new tab in the WeVideo interface where they can easily search, filter by media type, and mark favorite assets for future use. WeVideo offers free, 90-day structured pilot evaluations to schools and districts interested in exploring how WeVideo can help meet their education goals. Start a no-cost structured pilot evaluation program by 3/17 and save 25% when you purchase by 6/30. For more information and to get started visit here. WeVideo also offers free 30-day Teacher Trials to individual educators. Details are available at https://www.wevideo.com/education. WeVideo now integrates with popular learning management systems (LMS) from Schoology and Canvas, providing users of those systems with simplified access and seamless support for classroom management tools including assignments, messaging, submissions, and grading.